A couple of weeks ago, I was helping my clients with their anxious and at times reactive dog at their downtown condo by Lake Michigan. While the lesson was to focus on his behavior towards strangers and dogs in the elevator and hallways, we came across a very unusual reaction. During our work by the door, Skippy (not his real name) refused to cross the threshold into the hallway. The owners had mentioned this in our first session, but this was the first time I’d seen it. When I first came to the home, I noticed that the strong winds that evening were pushing their front door back towards them as they opened it. You were able to feel the air pressure in the hallway push into their home as the front door opened. Dogs in the city, especially, tend to be diverse in their fears and reactions. Meaning, there are times when the same thing will always make them react the same way, but there are other times when they either won’t react at all, or will react differently—such as with timidity rather than aggression. A dog might be aloof about the doorman one day, and refuse to walk past him the next. These different behaviors often leave handlers confused. They see no predictability, and no pattern. This might lead them to think their dog is moody, stubborn, or just plain crazy. The truth is, these dogs are not moody, stubborn, or crazy. Dogs don’t choose to be scared. They don’t wake up thinking, “You know what, today I’m going to be extra scared, just to give my owner a hard time.” Emotions are not something we choose to feel; they are a way our body reacts physiologically to specific events in our lives. Emotions, such as fear, are felt in every muscle in our bodies. What move, if any, did the fearful stimuli make that made your dog notice it? Eye contact, turned head towards your dog, walked towards dog or dog’s space, reach over? How big was the fearful stimuli and what energy level did it have? Where did this happen? Home, outside, sidewalk, hallway, elevator? What was the size of the space around your dog? The dog was against the floor, a wall, a corner, on leash, a crate, restrained, in between your legs, under the bed? How the fearful stimulus approached the dog (or even looks at it) can affect the dog’s response and/or intensity of the response. In addition, the setting itself can trigger a certain emotion in your dog. 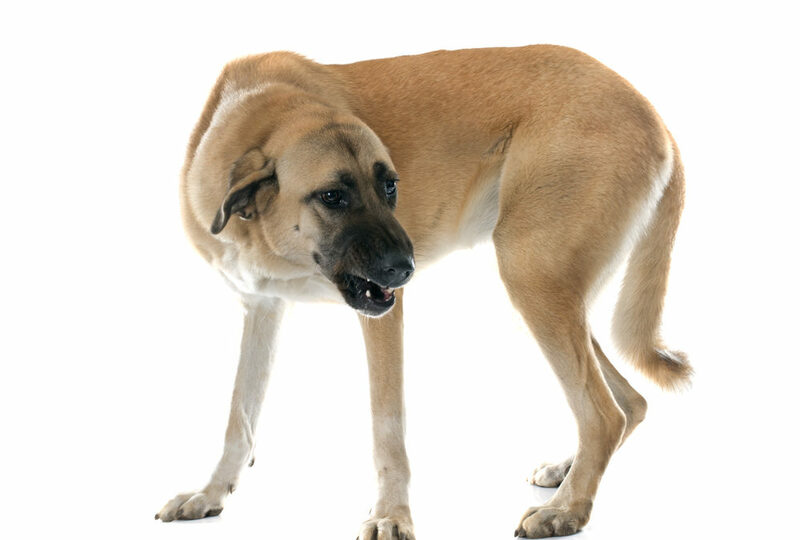 For example, if your dog is constantly getting scared in the elevator, then once he steps into the elevator his guard might go up and he’ll be on edge–because previous life experiences have taught him that uncomfortable situations happen in the context of the elevator. Have you ever been on a roller coaster? Have you felt your body excited and/or scared while in line and every time you get close your emotions get more intense? That’s because your body is responding to what you know is about to happen, even before you are actually in the rollercoaster. Dogs are great at making associations, and the more often two (or more) things happen together, the better dogs get at predicting them. For example, they know that when your doorman calls you or the doorbell rings, someone is going to come into your home. Therefore, even before the person enters, your dog’s body is already responding to the situation (barking, running, jumping, etc.). Next time you are out with your dog, try to notice her emotions even before any of the usual triggers are visible. If your dog is on edge, looking around, jumpy, or hypervigilant, then she is more likely to react to a stimulus. Same as if your dog is highly excited or aroused. However, if your dog is calmer and more balanced, she might have a milder (less intense) reaction or be better able to listen to your guidance. Start exploring possibilities and variables both at the micro and macro levels, and you will see how predictable your dog truly is.